I'm beyond happy to introduce you to Lisa Leonard today! Not only is Lisa the cutest thing to wear a dress (ever!! ), she isn't afraid to take fashion risks & totally own it! And let's just pause to oogle these statement shoes for a moment shall we?? 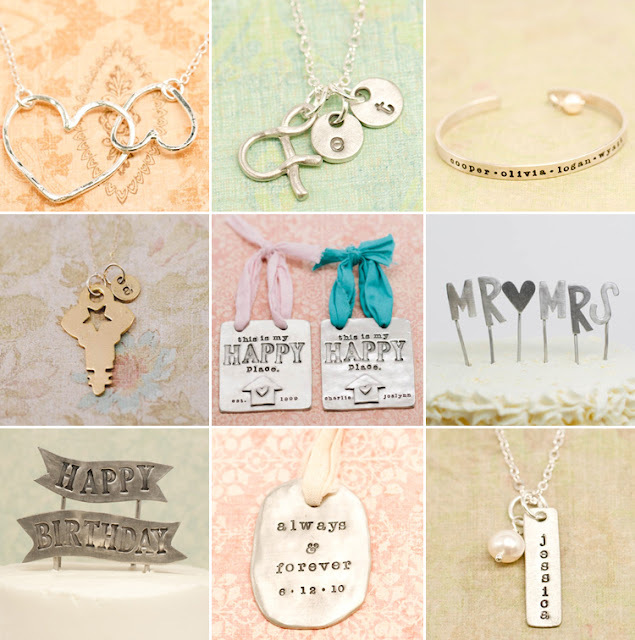 Lisa has been making metal hand-stamped jewelry & adorable wedding/decor knick knacks her whole life, but she decided to make a business of it after her son was born. The result is this lovely little online shop that has everything, including a gorgeous fair trade section! 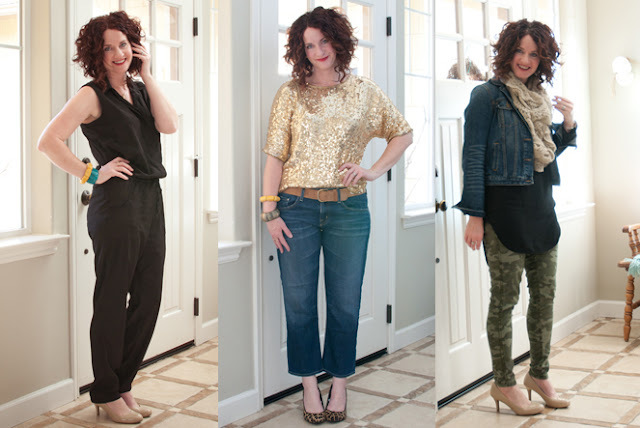 Not only is Lisa an inspiration as as woman entrepreneur, she is a everyday fashionista. A champion of re-mixing, Lisa had me fashion-crushing when she wore the same dress 7 ways! 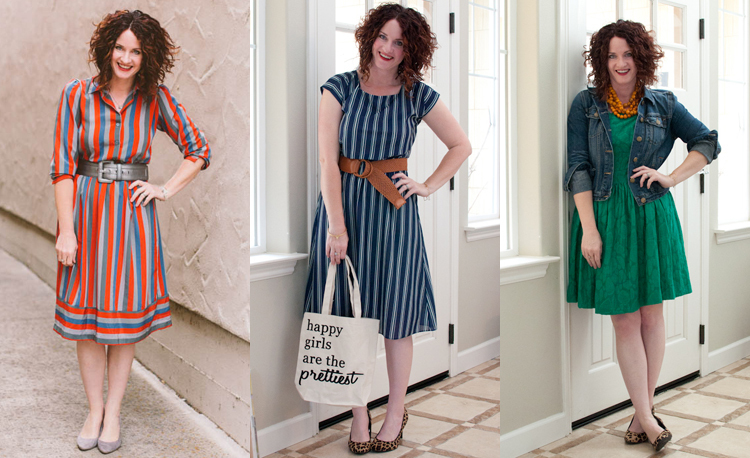 Today the sweet Lisa is giving away a $50 gift card to her beautiful shop for one lucky reader! I have been loving my key necklace from her shop, but I think I could pretty much cover every gift for the next 5 years with the goodies from Lisa's shop! Who ever wins this giftcard has one difficult task ahead - narrowing down their wish list! Love all the cake toppers - hadn't seen those before! i really love the Sundrop Necklace. Thanks for an amazing giveaway! I love the silver bracelet! I love the gold in a nutshell necklace because it's nature inspired. Who doesn't want an acorn strung around there neck? I love the tiny twig necklace! I love the "from every side" necklace! So subtle and elegant! The gold bunting necklace is so cute! I love the "connected necklace" with the hearts...so symbolic! The Aqua Stone earrings are so pretty! gold connected necklace! so cute. As an English teacher I am torn between the bookworm and golden apple! love the build your own charm braclet! Love the gold chevron necklace! I absolutely love the tree with the heart necklace....I'm getting married in September and it goes with my little theme. :) Her jewelry is the best! I love the lovely hearts charms. Is this giveaway open to international readers?! Yes, Lisa's shop ships internationally! Thanks for your question! i love everything in lisa's shop. i'm itching to get something from her newer gold line. I l.o.v.e. the silver teardrop earrings. i love the tiny twig necklace but it would be so hard to choose one thing! I love the Daddy is my hero keychain, and everything else! I love the brass swivel necklace!!! I have three pieces from Lisa Leonard and they are SO special to me! I LOVE her stuff! I love the petite family crest bracelet. cute!